The PMEA judging panel comprises a range of experts with a breadth of knowledge and experience, from pharmaceutical marketing specialists to leading management consultants and top business school academics. Judges’ scores are returned to us and collated for each category. It is at this stage that supporting materials are taken into consideration. Following the group discussions, judges re-score the entries to identify finalists and winners. 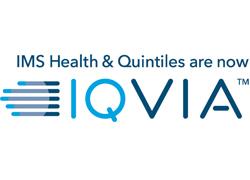 Following consideration of all submissions into PMEA, together with analysis of IQVIA data relating to company performance throughout 2018, judges will shortlist companies for interview. Shortlisted companies will be contacted to arrange an interview via webinar, which will take place on Wednesday 9 October. No alternative date is available. Finalists will be announced on www.pmlive.com and also in Pharmaceutical Market Europe. All entrants will be notified following the judging day by email as to whether they are finalists. The judges’ decision is final and neither the organiser nor the judging panel will enter into individual correspondence about the results. You have full control of the information you provide. We understand the sensitivity of the material. Access to supporting materials is restricted to the judging room on the day. Please indicate on the entry form if you require your entry and supporting materials to be returned to you, or destroyed by PMGroup following the event. Coverage of PMEA results are reported in Pharmaceutical Market Europe magazine and on www.pmlive.com immediately after the event.